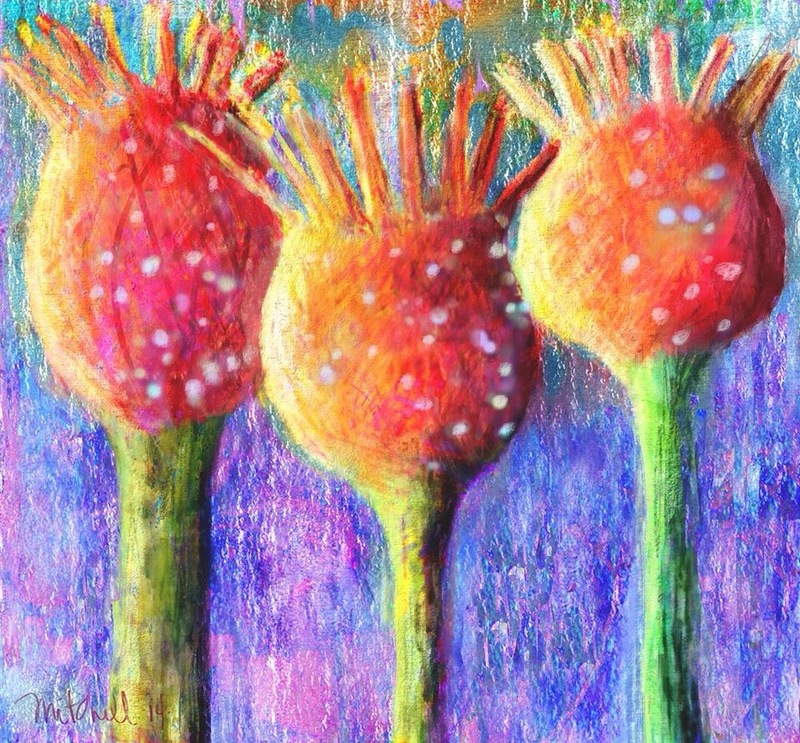 The next day, I opened the first pastel and brought in, on a layer, one of the pieces done on the iPhone. Layers have effects. In Painter, they are called composite effects. I played around with the composite effects. Then I touched the painting up a bit here and there. I wanted to background to be more. So I brought in some textures on a layer and applied various composite effects. I would share which ones, but I forgot. Then, there were areas of the background I liked, but not all of it. I wanted to copy pieces of the background I liked to other areas of the pastel. Painter has a rubber stamp. For those of you using Painter, it is under the Clone tool. I opened a new layer, and went to work with the rubber stamp. I choose the an area I liked (click alt). Then I went to an area where I wanted that effect to show (click alt+shift). I painted a bit. Then I did it again from a different area. I finally got what I wanted and quit while I was ahead. I did use Equalize to make the lights and darks pop a bit more. I used the Equalize plugin on the Layers panel. I am trying to share more of the details of how to in Painter. Corel has a dismal help file. It is more than useless. Users are dependent on each other for education on how to use this incredible application. I am trying to find a way to help other Painter users, while still keeping my blog interesting to those of you who just want to look at my art. Any suggestions in this area would be appreciated. These two pastels are being donated to Artists Give Back. Click here for details. Wow! These look like textiles. 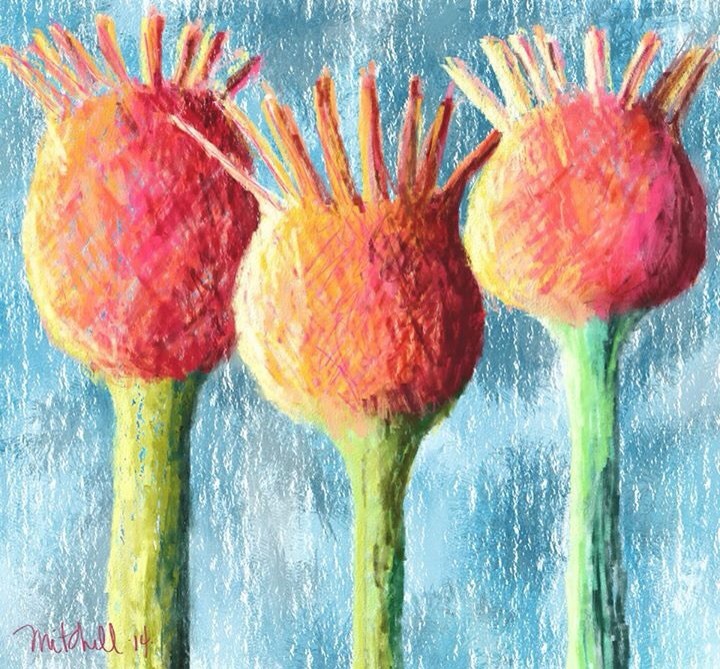 Maybe you’re finding your way back to textile artistry via a digital medium? I frequently get comments that my art is like fabric or textiles. It makes me glad to know that I somehow carry that on with me. Thanks, Carole.